The Chicago architecture Foundation is using several of my Midstream photographs in their exhibit: Take Me to the River which runs until December, admission is free. They are located at 224 S. Michigan Avenue. The Chicago Symphony Orchestra is using six of my Midstream photographs in the program for their Rivers—Nature, Power, Culture series of concerts. The performances take place from May, 9-June, 9. The Center for Urban Research and Learning at Loyola University, Chicago has partnered with me on Community Uprooted: Eminent Domain in the US. They are cunducting interviews with people in the areas I have photographed who have been affected by eminent domain, as well as additional historical research. I am very excited to be working with CURL as they are adding a great deal of depth and interest to this project. 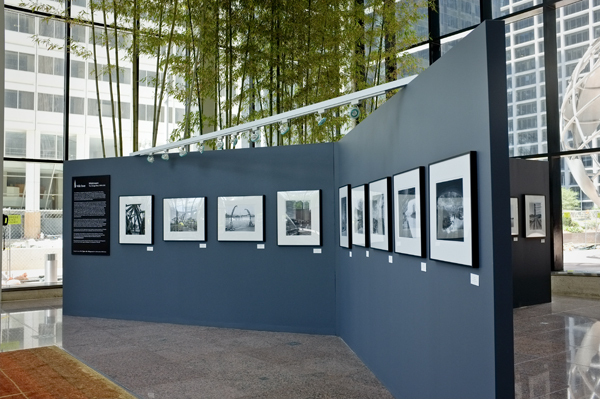 Forty one photographs from Midstream were on exhibit in the Lobby of Willis Tower, 233 S. Wacker Drive, June 1 until the end of August , 2012. On June 10, 2012 I was part of a Panel Discussion at the Chicago Tribune's Printers Row Lit Fest. John Maloof, Colleen Plumb, and I discussed "Stories Through Photographs." I had a show of about 20 images from Midstream at The Cliff Dwellers Club, 200 S. Michigan Ave, Chicago, from April 15-May 18. I had a solo show with 35 photographs from MIDSTREAM: The Chicago River, 1999-2010 at The Noyes Cultural Arts Center Second Floor Gallery at 927 Noyes Street, Evanston, IL from September 28—November 12, 2011. 28 Chicago River Photographs were exhibited at the Chicago Public Library, Harold Washington Library Center, 400 S. State Street, Chicago, IL from February 25—September 2, 2011. MIDSTREAM: The Chicago River, 1999-2010 is highlighted in the July/August, 2011 issue of Quintessential New Trier Magazine. Chicago River Photographs are featured in the November-December, 2010 issue of ViewCamera Magazine. MIDSTREAM: The Chicago River, 1999-2010 A book of more than 100 photographs has been published by Columbia College Chicago Press in January 2012.